In this 40-part e-course you will explore what Brother Wayne Teasdale named "interspirituality," the sharing of ultimate experiences across traditions. In this 40-part e-course we will explore what Brother Wayne Teasdale named “interspirituality,” the sharing of ultimate experiences across traditions. Calling this the adventure of the 21st century, Teasdale observed that, just as a person isn’t truly educated until they know more than one language, “a person is not really fully educated, or indeed ‘religious,’ unless they are intimately aware of more than their own faith and ways of prayer.” We can deepen and enrich our own faith journey by gaining an knowledge of and appreciation for the many forms the spiritual life can take. We may even see ourselves as bees gathering honey from different flowers. “Practicing Spirituality with the World’s Religions” includes teachings and practices from Buddhism, Christianity, Confucianism, Hinduism, Sufism, Judaism, Taoism, and Native American spirituality. We draw upon the insights of interspirituality pioneers including Huston Smith, Bede Griffiths, Wayne Teasdale, Thomas Merton, and many others. 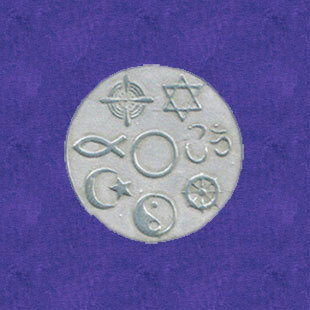 Their vision of a universal commonality underlying all the religions is one we can affirm in our daily lives. The e-course illustrates it by presenting similar spiritual practices from different traditions. The format of the e-course matches our other Practicing Spirituality programs — 40 lessons delivered via email. Each contains a short passage about the wisdom of the world’s religions as well as a way to practice that thought as you go about your daily activities. A second quote from a pioneer of interspirituality is included for you to reflect upon. Links take you to the reviews of the books where we found the passages.